in-ear jet black launch master & dynamic ME05 new Master & Dynamic's brass ME05 Earphones get's an all-black make over! 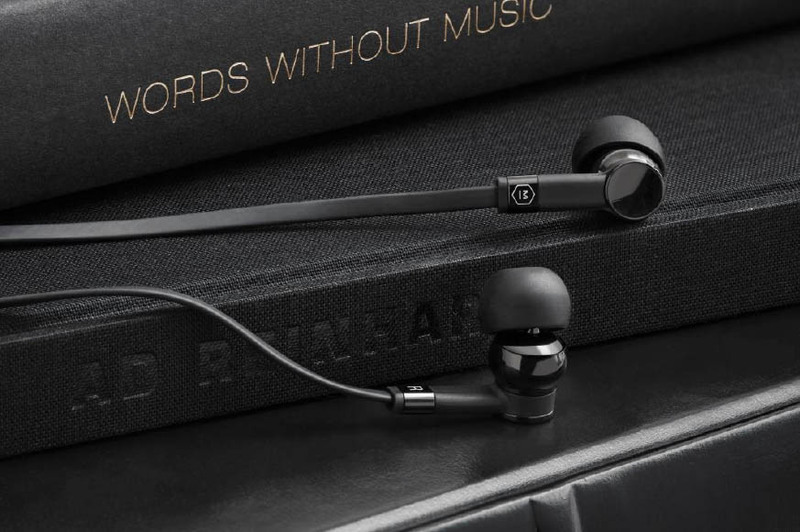 Master & Dynamic's brass ME05 Earphones get's an all-black make over! The widely praised earphones previously feature in natural brass and palladium colorways, are now available in black for $199. New York, NY - September 13, 2016: Today New York City-based premium audio company Master & Dynamic released the latest colorway for its widely celebrated brass Me05 Earphones: a brilliant black. Named the "top pick (for earphones) of 2015" by tech outlet WIRED, the earphones have now received their third colorway, one fitting of the city where they were designed. The black ME05 Earphones are available at www.masterdynamic.com for $199. Much like the original brass ME04 Earphones and the palladium-coated offshoot released shortly after, the black ME05 Earphones have the same acoustic properties - via 7mm titanium drivers housed in the product's elegant body - that Hypebeast dubbed "first class audio capabilities," making them the perfect fit for those that want high-quality audio on the go. Similarly, the black ME05 Earphones also incorporate the same sophisticated ergonomic elements and the elegant details, including their brass build, laser etching and mirrored accents that brilliantly reflect light. Included in the box are two replacement sound filters, a polishing cloth, an aluminium clothing clip and a leather storage box. Replaceable acoustic filters (extra acoustic filters are included) prevent dirt and debris from blocking the acoustic chamber and exemplify Master & Dynamic's commitment to detail and longevity. Master & Dynamic's new ME05 Earphones colorway marks the latest offering from the rapidly expanding premium audio company, which has added projects with Spotify, The Rolling Stones and Japanese designer Poggy to it's resume in 2016, along with a new palladium colorway for the brass ME05 Earphones, which Hypebeast praised for their "first class audio capabilities." Thus far Master & Dynamic has unveiled a number of exciting projects in 2016, including a new limited-edition cobalt blue colorway exclusive to the luxury boutique Colette in Paris and the first official headphones of legendary rock band The Rolling Stones. The brand's commitment to excellence earned it high marks in 2015 as well, with the release of a number of products and designs such as the MW60 Wireless Over-Ear Headphones and the brass ME03 Earphones, each awarded "top pick" in their respective categories by Wired Magazine.